1020 adults hospitalized with cUTI, which included acute pyelonephritis and complicated lower urinary tract infections. The microbiologically modified intent-to-treat (mMITT) population, which included all patients who had at least one uropathogen isolated at baseline (≥105 CFU/mL), consisted of 810 patients; the median age was 55 years, and 69.8% were female. 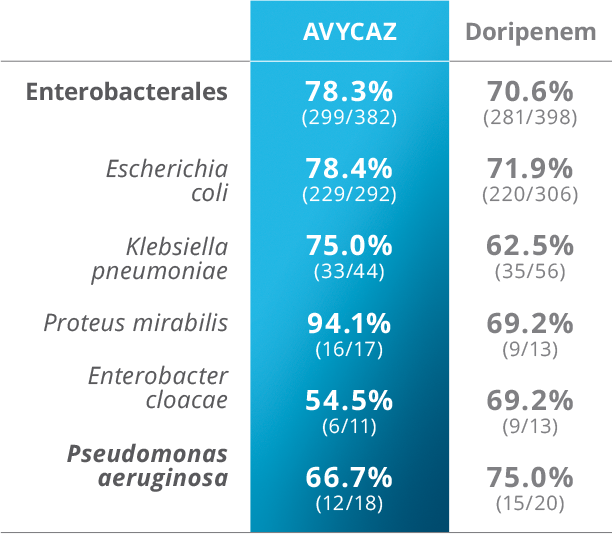 A switch to an oral antimicrobial agent was allowed after 5 days of IV dosing. 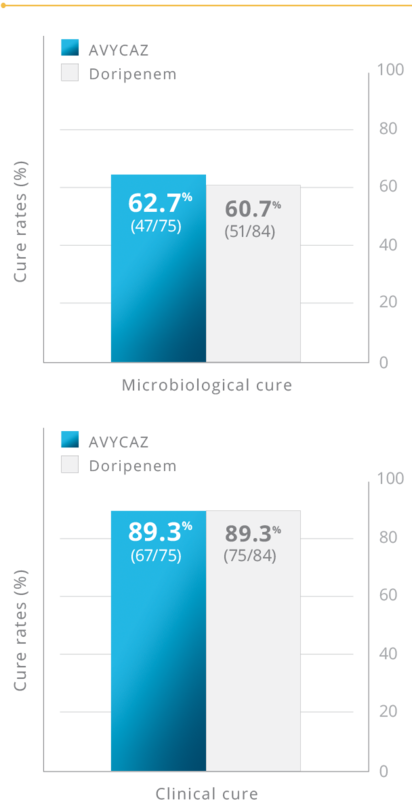 Symptom response rates at Day 5 and combined microbiological cure and symptom response rates at the TOC visit (21 to 25 days after randomization). A symptom response was based on the resolution of patient-reported cUTI symptoms, defined as frequency/urgency/dysuria/suprapubic pain, as well as an improvement in flank pain for individuals with acute pyelonephritis. 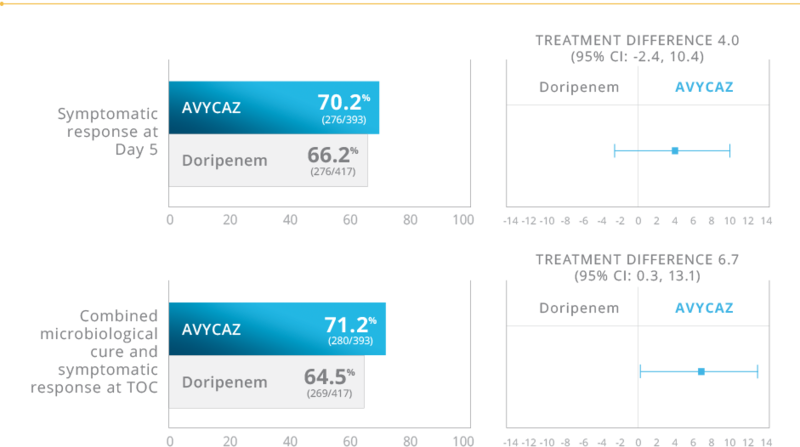 Microbiological cure was defined as a reduction of all baseline uropathogens to less than 104 CFU/mL in the urine.